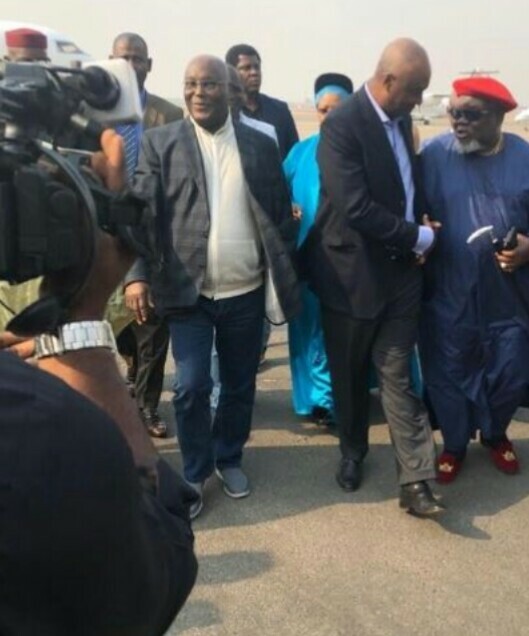 The aircraft that conveyed Atiku touched down at the Nnamdi Azikiwe International Airport in Abuja at about 3:00pm on Saturday, January 19. Atiku had gone to the US for a town hall meeting and to also engage officials of that country in talks. The visit is also seen in some quarters as a step to absolve himself from all allegations from the ruling party.